Are Senate Republicans killing ‘blue slip’ for court nominees? 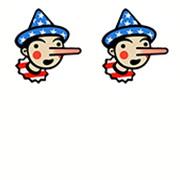 When politicians cry “fact-check,” it’s catnip for The Fact Checker. Feinstein, the top Democrat on the Senate Judiciary Committee, says Republicans are torching a century-old custom that allows individual senators to block judicial nominees from their home states. It wouldn’t be the first Senate tradition to go on the chopping block in recent years. When it was under Democratic control, the Senate in 2013 ended the ability of opponents to filibuster trial and appellate court nominations (and presidential appointments); previously, it required 60 votes to invoke cloture and end debate, allowing for a vote on a nominee. Republicans, after they took control, ended the ability to filibuster Supreme Court nominations in 2017. Nominees can now be confirmed with a simple majority of 51 votes. The ability to filibuster nominations was a formal Senate rule. Feinstein says Republicans are now scrapping an unwritten tradition, the “blue-slip courtesy,” which allows senators to block court nominees from their home states. Is the blue-slip tradition in the dustbin of history? President Trump and the Republican-controlled Senate have been filling judicial vacancies at a record pace, with 10 new district judges, 13 appeals court (circuit) judges and one associate justice of the Supreme Court confirmed in Trump’s first 13 months in office. Another 11 nominees for the circuit courts and 49 for the district courts are pending. Once the president submits a judicial nomination to the Senate, the chairman of the Senate Judiciary Committee sends a blue-colored form (or “blue slip”) to both senators from the nominee’s home state. Those senators have the option of returning the blue slip with a positive or negative response; they may also choose to withhold the blue slip. A positive response means “all good” and a negative or withheld blue slip means there’s an objection. The most recent Democratic chairman of the Judiciary Committee, Sen. Patrick J. Leahy (Vt.), had a policy that no judicial nominee could get a hearing if a home-state senator withheld a blue slip or sent it back negative. This could kill a nomination, because the full Senate does not vote on nominees unless they’ve been approved by the Judiciary Committee. Leahy was chairman from 2001 to 2003 and from 2007 to 2015. The current chairman, Sen. Charles E. Grassley (R-Iowa), had observed the same practice as Leahy. But on Feb. 15, the Judiciary Committee held a hearing for Michael B. Brennan, who was nominated to the U.S. Court of Appeals for the 7th Circuit. According to the Congressional Research Service (CRS), the blue slip surfaced more than 100 years ago, in 1917, but different chairmen of the Judiciary Committee have had different blue-slip policies. Not all of them used the same framework as Leahy. From 1917 to 1955, the blue slip was used as a feedback tool “to merely request the opinion of senators, regardless of political party, about judicial nominations in their home-states,” according to the CRS report. In other words, the blue slip had no teeth during its first 38 years. Senators could not block judicial nominees simply by sending back a negative blue slip. “No chair of the Judiciary Committee allowed even one negative blue slip to automatically veto a nomination” from 1917 to 1955, the report says. Things changed in 1956, when Sen. James Eastland, a Mississippi Democrat, took over as chairman of the Judiciary Committee and required two positive blue slips for all judicial nominees. Eastland ran the committee for nearly two decades, from 1956 to 1978, according to the CRS. But Eastland and Leahy appear to be the only two chairmen who have required two positive blue slips, according to the CRS report. No Republicans, and no other Democrats, have followed suit. Foy added that the blue slip was not used as often before 2013, because it was more common to block nominees with the filibuster. Foy said Grassley’s blue-slip policy is like Biden’s, who required that the White House consult with home-state senators on each nomination, regardless of the blue-slip situation. Biden, a Democrat, was chairman of the Judiciary Committee from 1987 to 1995. “While it is not known how many nominees during the George H.W. Bush presidency had blue slip issues, there are two known examples of Senator Biden moving forward on a judicial nomination that received a negative blue slip from a nominee’s home state senator,” according to the CRS report. Both of those cases involved objections from a fellow Democrat, Sen. Alan Cranston. When Sen. Strom Thurmond, a South Carolina Republican, was chairman from 1981 to 1986, the Judiciary Committee “moved forward on three known nominations that had received one negative blue slip and on one known nomination for which a home state senator had not returned a blue slip,” according to the CRS report. All the objections came from Democratic senators in those cases. When Sen. Edward M. Kennedy, a Massachusetts Democrat, was chairman from 1979 to 1980, the Judiciary Committee moved ahead with one judicial nomination even though it lacked a positive blue slip from Sen. Harry Byrd Jr., an independent who caucused with Democrats. Kennedy also changed the requirement that each nominee receive two blue slips, with a stated goal of increasing racial and gender diversity among judicial nominees. Feinstein says no Democratic chairman of the Judiciary Committee has held a hearing for a nominee over the objections of a Republican senator. But Democrats have blocked Republican nominees through other means. They blocked 44 judicial nominees while President George W. Bush was in office, according to Senate Republicans, either by using the filibuster, declining to schedule hearings or withholding or sending back negative blue slips. Of those 44 nominees, 16 were later confirmed. During a floor speech Nov. 16, Grassley said he probably would keep requiring two positive blue slips for district court nominees, but not for circuit courts. Feinstein says Republicans are doing away with a 100-year-old tradition of allowing senators to block judicial nominees from their home states. But this tradition has been observed by two of 19 chairmen — or 32 out of 100 years — in the history of the Senate Judiciary Committee, according to the Congressional Research Service. Grassley says that he probably will keep requiring two positive blue slips for district court nominees and that he continues to ask that the White House consult with home-state senators for all nominees, regardless of the blue-slip situation. There’s no record of a Democratic chairman of the Judiciary Committee holding a hearing when a Republican senator had not yet returned a blue slip for a nominee, so Feinstein’s claim is technically accurate. But it obscures the fact that senators had another powerful tool to block nominees before 2013: the filibuster. Feinstein also leaves out that Democrats stopped Republican nominees using other parliamentary tactics during the Bush administration, the last time they held the Senate while a Republican was president. Democrats and Republicans have been ripping up old Senate norms in recent years. But because she leaves out important context and exaggerates the history of the blue slips, Feinstein earns Two Pinocchios.